My favourite smells when I was young were very simple. They were clearly associated with my favourite foods. I'm amazed at how vividly they bring back memories for me and the merest whiff of it and suddenly I'm three years old again and running up and down the driveway chasing a ball or I'm a teen teasing my hair so that I got that fetching crown of big 80's hair. I will spare you a picture of it. One aroma that I adored was coconut. I used to buy anything coconut scented. Vanilla was a crapshoot. Sometimes it was that horrible artificial cloying vanilla and sometimes it was lovely. Coconut was always good and always reliable. 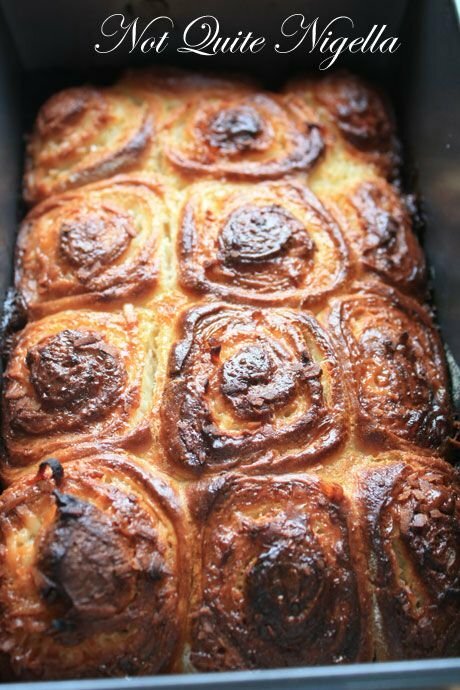 When I saw Juliana's recipe for Brazilian Coconut Rolls aka Padarias I was immediately struck by how similar they looked to the Nigella Norwegian Cinnamon Buns, one of my favourite recipes ever but one where I had particularly embarrassing gorging incident eating several of them for lunch. I knew that if I were to make these, they needed to be with company. M had asked us over to her house and I'm rarely one to turn up empty handed. My parents drilled not to come empty handed into me from young and I remember bringing a pack of family assorted biscuits to my new friend's house. Her family was quite confused about that as no-one had ever turned up with biscuits. 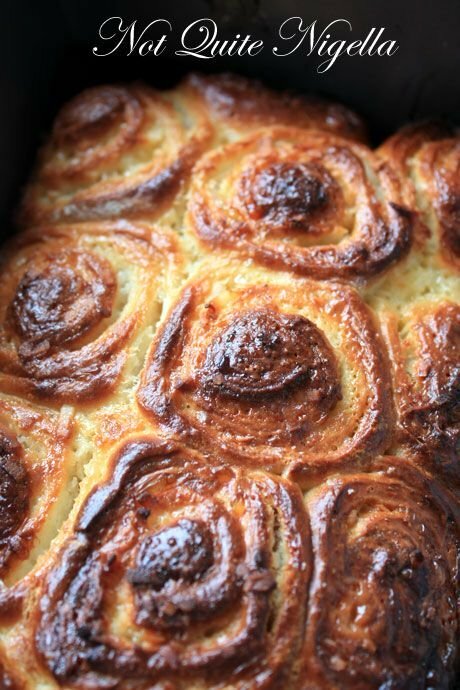 "Here my mum told me to give these to you" I offered weakly to them and smiling and a little unsure, they took them. My friend whispered to me "My mum has never been given food. Usually friends just turn up" she said not unkindly but by way of explanation of their confusion. I went home and begged my parents not to embarrass me by giving me packets of biscuits to give to people. Although now I hate to turn up empty handed. Back to the recipe, I needed to add more flour than what was in the original recipe as it was a little sticky. At first I thought that there wasn't quite enough filling but when I baked them, I realised that the amount was just perfect. Too much more and it might have been overkill. Fresh out of the oven would have been preferable and as it was we ate them just a few hours later with torrential rain pouring down outside. So tell me Dear Reader, how do you feel when guests turn up with something? Do you usually bring something with you? 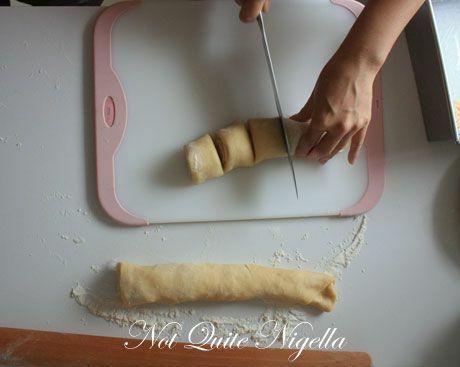 Step 1 - In the bowl of an electric mixer fitted with a dough hook, mix all of the dough ingredients until elastic (about 4-5 minutes using a dough hook, 6-8 minutes if kneading by hand). Place in a warm area for 1-2 hours until doubled in size. Step 2 - In the meantime, mix the ingredients of the filling and cook in low heat until a slightly creamy sauce. Do not over cook. Cool. 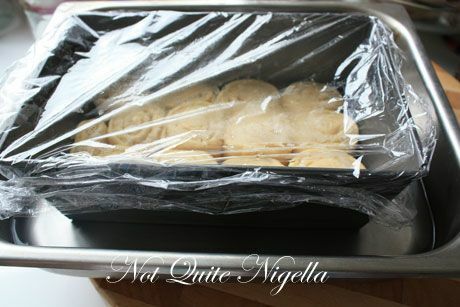 Step 3 - Grease a large loaf tin with oil. 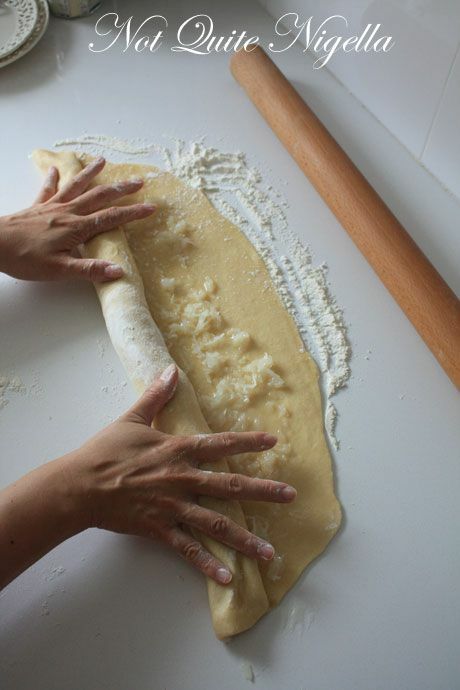 Knock the dough back by punching it with your fist and roll it open to a rectangle of approximately 1/3 to ½ inch thick. 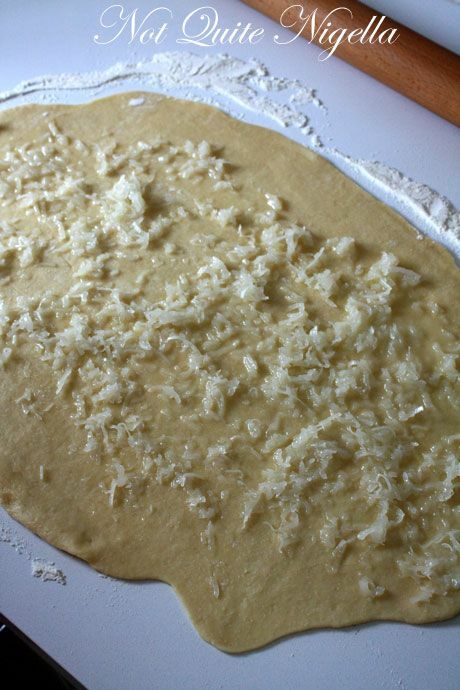 Spread the coconut filling on top of the dough. 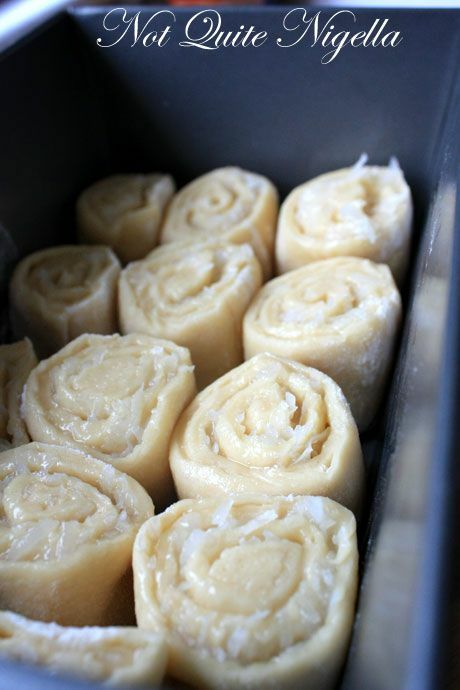 Roll it and cut into 16 pieces. 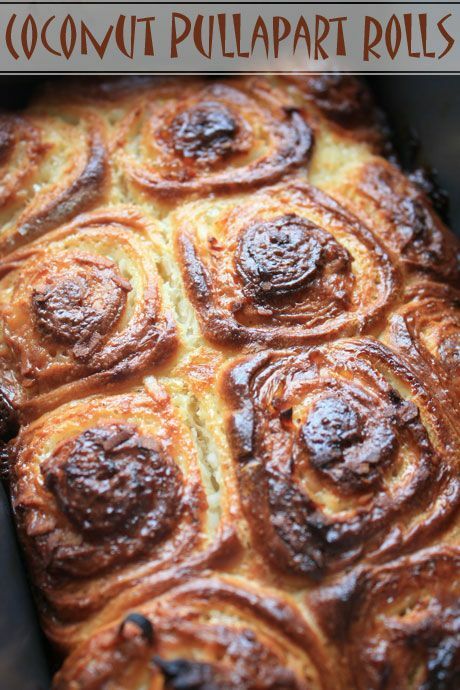 Place the rolls in the greased loaf pan and let it rise in a warm place for approximately 30 minutes until they look snugly fitted together. Step 4 - Bake in a 220C/440F oven for 15-20 minutes.